The United Nations warned Thursday that an estimated 18.4 million are expected to perish of war-driven starvation in Yemen by the end of the year, a development that will exacerbate what some say is the worst humanitarian crisis since World War II. In anticipation of the ongoing Saudi-led offensive, dubbed the alliance’s most significant of the war, to push the Iran-allied Shiite Houthis out of Yemen’s top port city of Hodeidah [or Hodeida], the U.N. cautioned that the operation could trigger a famine that would imperil millions by choking off what trickle of urgently needed aid is still flowing into the city. Less than a month before the June 13 start of the Hodeidah offensive, which has already worsened the humanitarian crisis, Mark Lowcock, U.N. aid chief, said in a statement that 10 million additional Yemenis are expected to starve to death by the end of the year, bringing the number to 18.4 million. Over the past few weeks we have seen an escalation in conflict, growing restrictions on humanitarian action and a reduction in essential commercial imports. These factors are compounding the world’s worst humanitarian crisis at a time when millions of Yemenis face acute food insecurity and a possible resurgence of cholera or watery diarrhea. 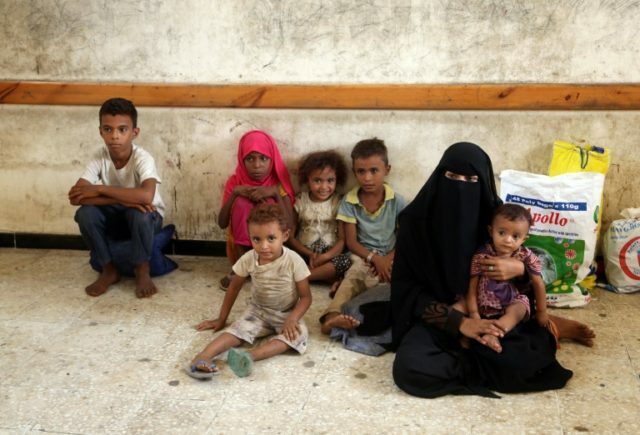 More than 22 million people in Yemen need humanitarian assistance or protection. Some 8.4 million people are severely food insecure and at risk of starvation. If conditions do not improve, a further 10 million people will fall into this category by the end of the year. Yemen heavily relies on imports for almost 90 percent of its food and the vast majority of aid. Hodeida is a strategically important city — Yemen’s largest and most vital port where most of aid and food comes through. The Saudi-led coalition has offered a peace deal with the precondition that Houthis abandon Hodeidah, which reportedly allows Iranian military supplies and funding to reach the rebels. On Thursday, Martin Griffiths, the U.N. special envoy to Yemen, said the two warring sides have agreed to negotiate peace again. He cited as an achievement towards the political solution, an offer to give the United Nations a lead role in managing the Hodeida port. Both the Government of Yemen and the Ansar Allah leadership of the Houthi rebels have accepted this provision, dependent on an overall ceasefire in the governorate, he said. Regarding a timeline for the negotiations, Mr. Griffiths said he would like to get the parties together within the next few weeks. The restart of negotiations were “long overdue,” and the Yemeni people expect it to happen as soon as possible, he said, adding that he hoped the Security Council would meet in the coming week. The fighting in Hodeida has already forced at least 26,000 people to flee the region and killed more than 250.